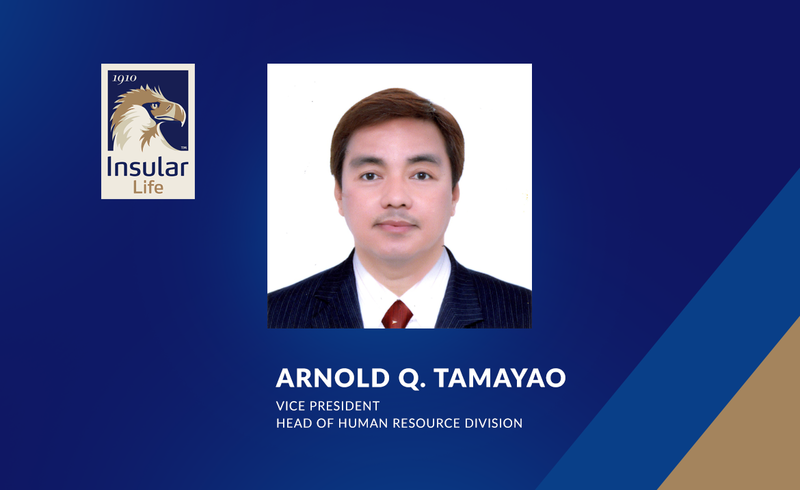 Insular Life Chief Executive Officer Nina D. Aguas recently announced the appointment of Arnold Q. Tamayao as Vice President and Head of the Human Resources Division, and Herson S. Resurreccion as Assistant Vice President and Market Risk Officer. Tamayao has extensive work experience in various fields of Human Resource Management. Prior to joining Insular Life, he was the director for Human Resources of Inquirer Holdings, Inc. covering fourteen business units in a multimedia environment. He graduated from the Far Eastern University where he obtained his B.S. Psychology degree. He has completed several diploma courses in the area of Human Resource Management from the De La Salle University College of St. Benilde. Herson was involved in Financial Services Risk Management while he was with SyCip Gorres Velayo and Co. Prior to joining Insular Life, he served as the market officer and head of the Valuation and Analytics Section of China Banking Corporation. He graduated from Southern Luzon State University. He is a Certified Public Accountant.